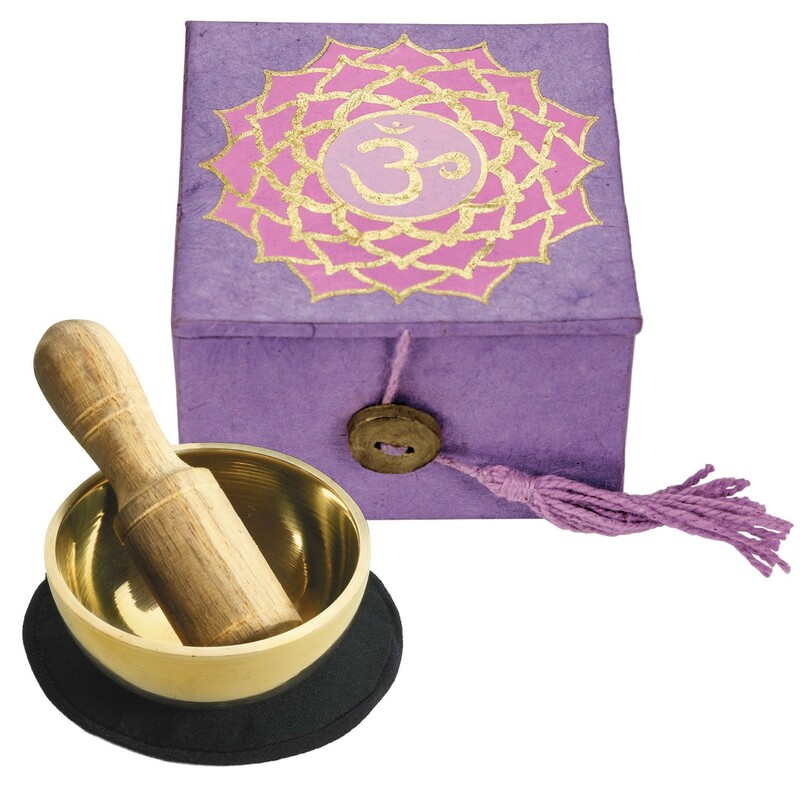 Home > Meditation > Singing Bowls and Meditation Bowls > Crown Chakra Meditation Bowl 2"
A single tap to this little 2'' wonder brings forth a surprisingly powerful sound. A great tool for mediators, teachers and anyone who is willing to take a moment to pause, breathe and relax. Instructions for a mini meditation are included. The meditation bowl is handcast and handtuned by skilled artisans in Kathmandu, Nepal. The box is made with Himalayan lokta paper; a sustainably harvested, tree-free eco paper.